These stainless steel infusion balls are the sturdiest we have found. 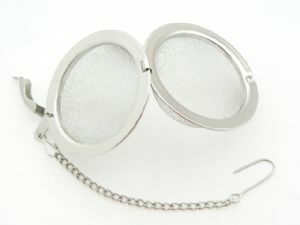 The ball and chain design means they are suitable both clipped over the side of a mug or a teapot. Approximately 5cm in diameter.